With the number of delivery drones in the global eCommerce industry alone expected to increase to 2.2 million units by 2025, there will be a surge in the demand for drone servicing, repair, and maintenance, a report said. Drone delivery trials are being conducted in at least 15 countries, including Australia, the US, the UK, Canada, Japan, and Switzerland by specialized companies such as Flirtey, Flytrex, and Zipline, as well as cross-industry companies such as Amazon, Alphabet, Alibaba, JD.com, Airbus, and UPS, added the report titled “Analysis of the Drone Delivery Landscape and the Evolving Business Opportunities, 2018” from growth partnership company Frost & Sullivan. The entry of majors from other industries is a huge boost to the market, as they are able to leverage their expertise in technology, eCommerce, aviation, and logistics to accelerate the commercialization process. 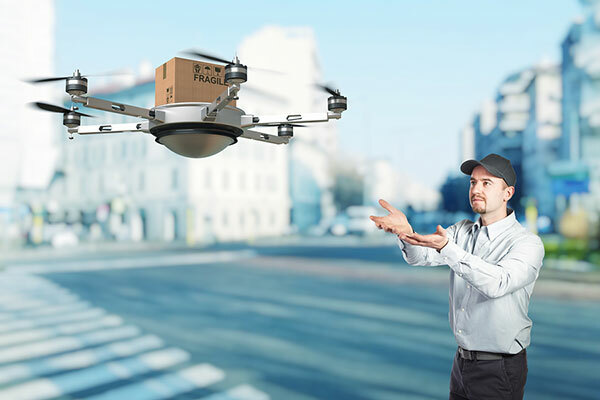 "Faster deliveries, reduced road traffic, access to remote areas, accurate deliveries, and greater convenience make drones an attractive proposition for last-mile delivery,” said Joe Praveen Vijayakumar, Mobility Consulting vice president at Frost & Sullivan. "Acknowledging the vast application scope of the technology, drone delivery companies are collaborating with drone software platform companies to develop advanced artificial intelligence and autonomous flight capabilities. There is also considerable potential to partner with companies developing next-generation rotors and propellers that can muzzle sound." "Furthermore, investments in robust cybersecurity are crucial to increase adoption of drone delivery systems," noted Vijayakumar. "The rise of blockchain in the commercial drone market will make drone services more secure, precise, and easier to track and regulate. Blockchain can employ cryptographyto help drones securely communicate with each other, the customer’s mobile phone, as well as the command center." The regulatory landscape is progressing in line with these market developments. Many states in the US are framing regulations and laws defining the purposes and circumstances under which drones can and cannot be used. • Offering drones that are optimized to the specific needs of individual application areas. This will result in a range of business models and revenue streams. • Establishing supporting infrastructures, including distribution hubs, delivery platforms, and a network of charging stations to ensure smooth drone delivery operations. • Working closely with relevant government bodies to expedite the process of framing rules for drone delivery operations.